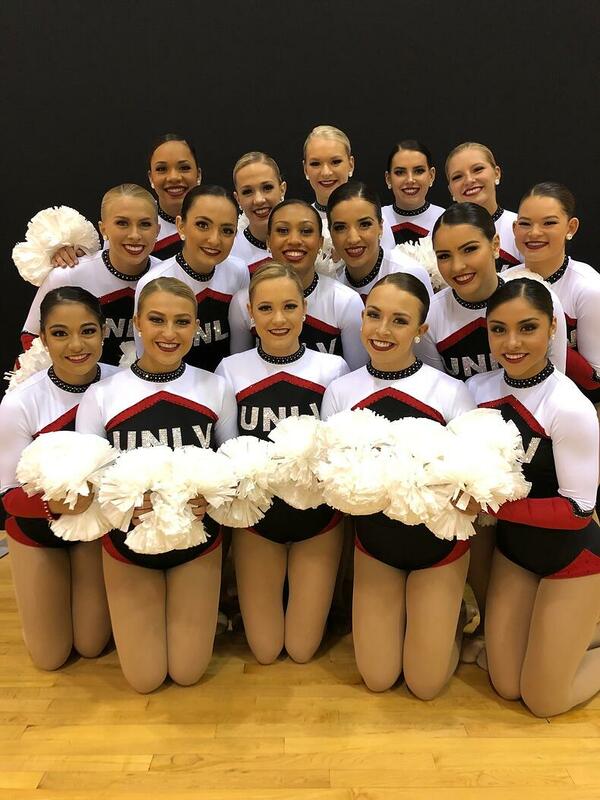 The UNLV Rebel Girls came out of 2019 UDA Nationals as back-to-back National Champions in Hip Hop and placed 4th in Pom. It's safe to say they had a successful year! 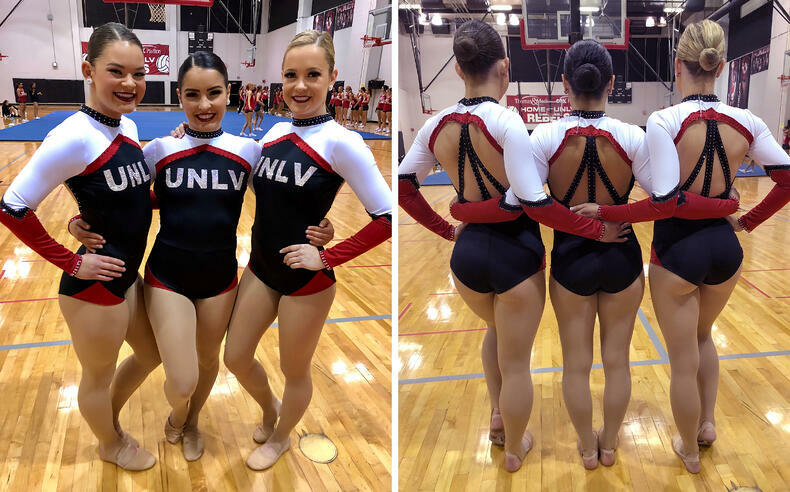 We first met UNLV when attending the 2018 Tribe 99 Dance Combine, where some of the team members modeled during the fashion show. Katie Famakinwa, Customer Service Manager at The Line Up, worked with the team at the event. "A few months later I got an email that they wanted to work on a pom costume with us. I was thrilled!" says Katie, "They are such an amazing and unique team, I couldn’t wait to see what they had in mind. When I got their design kit back with a sketch of a biketard instead of a traditional pom dress, I knew this look was going to be special." Their custom uniform was inspired by the hip hop sections they mix into their Pom routines, leading them to opt for an edgy biketard. 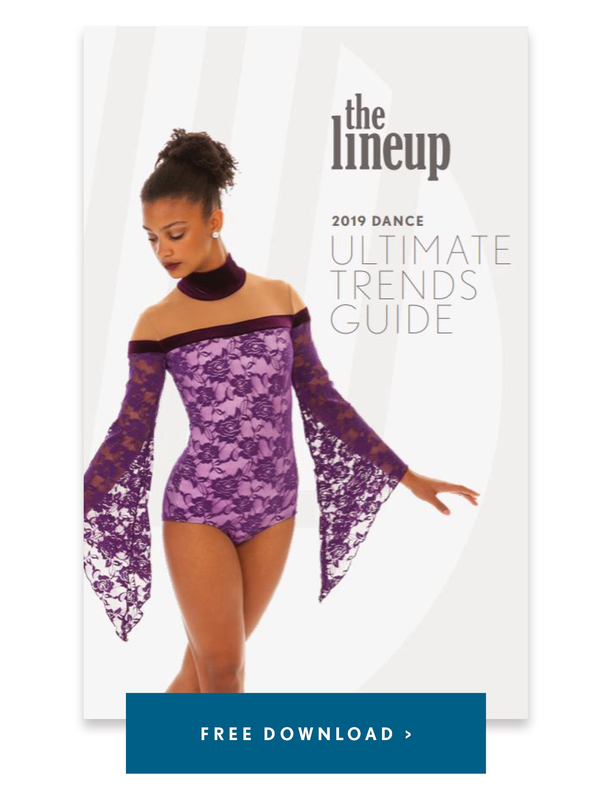 "We wanted to keep the top of the costume a bit more traditional, but we ditched the skirt and added shorts to create more of our own style," explained Coach Kaitlyn Thompson. They had a clear vision from the start and we loved how they made this uniform their own - a traditional collegiate look with a twist! The white shoulders and strappy open back looked stunning on the national stage. 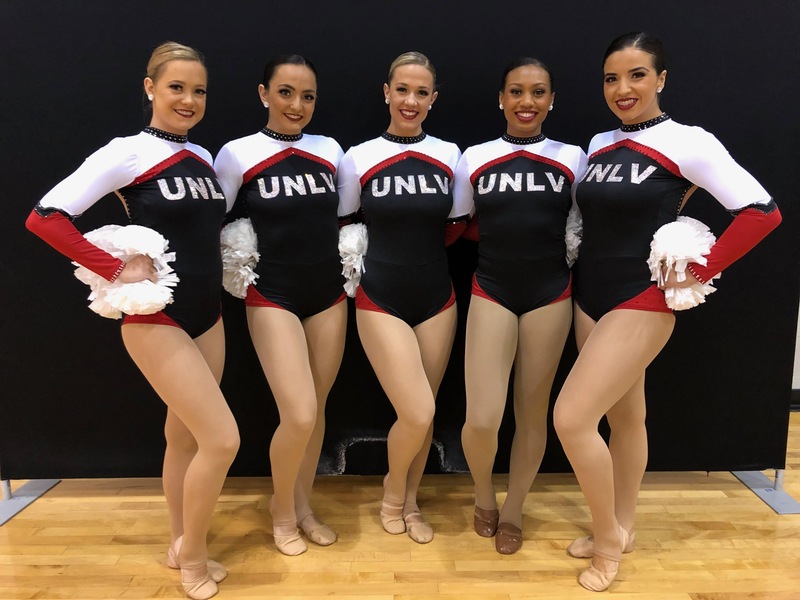 Learn more about the UNLV Rebel Girls and check out a video of their Nationals routine, below! This team is unique specifically because we pride ourselves on our work ethic, and fully support each other’s successes. We are truly one big family that loves each other through and through. For us, teamwork means staying together through hardships, and remaining a unit even if things don’t always go as planned. We rally our team by adding perspective to all situations and staying grounded through it all. Giving the team a balance of constructive criticism and encouragement allows us to perform to our full potential. What was your inspiration/concept and how was it incorporated into your costume, choreography and music? Every year we try to add something to our pom routine that pulls from the “traditional” aspect of the division. We started putting small hip hop sections in our pom dances in 2013, and we wanted a costume that helped reflect that. We wanted to keep the top of the costume a bit more traditional, but we ditched the skirt and added shorts to create more of our own style. Our favorite memory from this season thus far is small but impactful, and would have to be before semi-finals when we were getting ready to compete. The entire team was out on the balcony of our hotel room just having fun and dancing. It was a nice break from all of the seriousness that comes with competitions. This season, I would say our biggest challenge was to not ride the coat tails of our success from last year. We wanted to approach this year with a clean slate and not rely on what our team accomplished in our previous season. 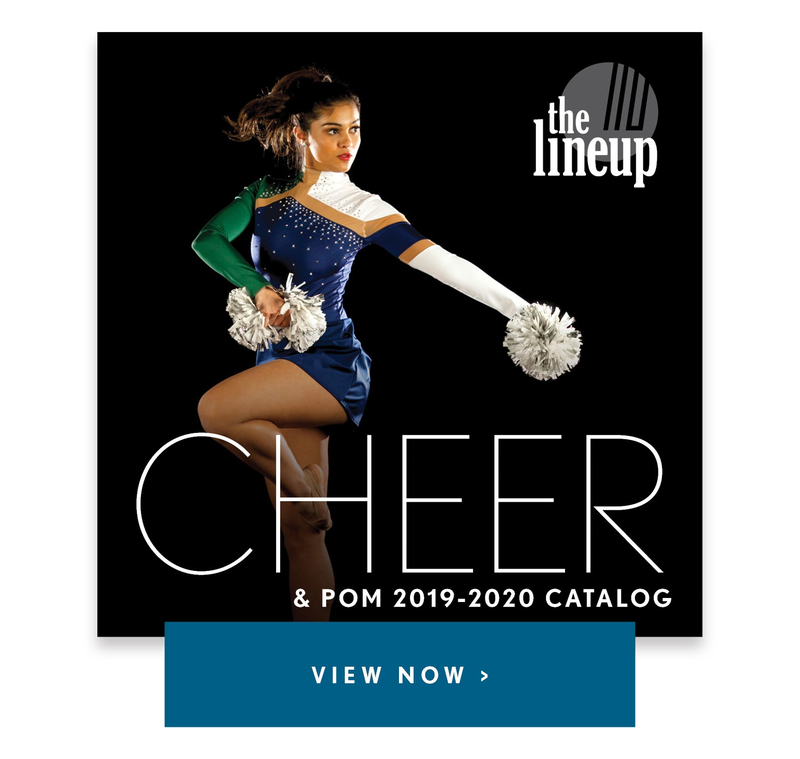 We loved their uniform so much that we added it to our online store! Shop the new look - Livie Biketard!